One of my favorite self-care modalities is going for regular Reflexology sessions. Not only do I find it so beneficial for my health and wellness, but it’s so relaxing! And I am one of those people who love having my feet touched, rubbed, and given attention :-), so this works for me. In reflexology, pressure is placed on areas of the hands and feet in order to improve healing and reduce pain. The idea is that there are points in the hands and feet that correlate and are connected to other areas throughout the body. These points are called reflex areas. Reflexology and massage often go hand in hand, but they aren’t the same thing. Massage can take place all over the body and focuses on the soft tissue in the body such as muscles and fascia. Reflexology is a specialized practice that focuses on the reflex points in the hands, feet, and ears, whereas massage often takes place over the entire body. Acupressure is another similar healing art, but it is also different from reflexology. Acupressure addresses energy lines called meridians. With this practice there are 14 long lines of energy that run the length of the body and there are hundreds of pressure points along these lines. Some of these pressure points are found along the feet, hands, and ears. However, there are relatively few compared to pressure points found throughout the entire body. Again, reflexology focuses only on the feet, hands, and ears. Reflexology may be combined with massage or acupressure, but it can stand alone as well. Some reflexologists choose to get certified in multiple therapies while others work only in reflexology. Reflexology has been known to have health benefits for thousands of years. It can help to improve physical and mental health by reducing the effects of stress and anxiety. It can provide relief from headaches and other forms of pain. It can improve blood pressure, circulation, and can be used to combat the symptoms from cancer and cancer treatment. This healing art can improve your sleep, increase your energy, and assist with improving your mood. If you suffer from mental health issues, arthritis, diabetes or a neurological condition you’ll find that reflexology is complementary therapy. As far as side effects go, reflexology has relatively few. Some people report having sensitivity in their feet after a session. You might also experience fatigue, a runny nose, or coughing afterward. This is because the practice of reflexology can release toxins and your body will work to rid itself of those. Side effects usually last less than a day and are rarely serious. I highly recommend this wonderful modality as part of your regular self-care. Taking care of yourself is a very high form of self-love and is so, so important. Reflexology is an excellent way to practice self-love, healing, and improving your overall well being. Advances in our health and well-being do come from strength, but perseverance is the most important component. Doing little bits consistently will have great benefits. Never underestimate the small steps you take toward optimal or better health. The one glass of water does count. The walk after dinner does count. Maybe you didn’t go to the gym 3 times this week, but you went once. It counts! Burnout can take on many forms and affect us emotionally, mentally, and physically as well as spiritually. Sometimes it feels like our soul is zapped and we have nothing left to give. What are some ways that we can avoid these feelings of burnout and lack of vitality? On a physical level, one might want to look at adrenal burnout. Some symptoms of adrenal burnout are aches and pains, sweet cravings, exhaustion, low blood sugar, trouble getting to sleep and waking up, a reliance on stimulants, a pain in the neck and more. There are lots of great articles and info on supporting the adrenals and I will be sharing some here at this blog as well, but today I want to talk more about the spiritual side of burnout…..
Inspiration or ‘in spirit’ is a force all on its own and when we feel overwhelmed, over burdened or afraid, our inspiration hides itself from us. We become disconnected from our own inspiration and life force. How do we connect to this inspirational life force? There are many ways but today I will cover a few key ones. You must honor your wants and desires. YOU are important in YOUR life and you need to accept this. Please don’t live your life for others only. It’s great to appreciate the people in your life, like your kids and your significant other etc., but please don’t lose yourself. YOUR life is a gift and you need to open your gift and share your gifts with the world. Your kids are here to experience and en-JOY their journey and you are here to en-JOY yours too! One of the best things you can do is to lead by example and pave the wave for your kids and those in your life to appreciate their lives, by appreciating yours and honoring your desires and wants! Let go of the things than don’t serve you, including the past. As a Life Coach the biggest pain body I see in people, that is affecting their health today, is hanging on to pain from the past. There are many ways to let this go, life coaching, counselling and pyshcotherapy for example, but I would offer to you it really does not have to be as hard as we think and the sooner you release it, the faster your inspiration and vitality will improve. Do whatever you need to do to let go of yesterday. I am going to wrap up for today and let these three ideas or concepts sit with you. I hope you find them helpful and remember you need to adapt and do what works for YOU. It is my only wish that you do for YOU that which brings you JOY and helps you to have more vitality and inspiration in your life. Maggie Holbik.com is a Certified Life Coach and Board Certified Nutritionist who loves to help people ‘remember who they are’ and to help them to create lives that fulfill their inner desires and their soul’s callings. Contact Maggie to schedule a FREE 15 minute discovery chat to see if Life or Nutrition Coaching might be of benefit for you. 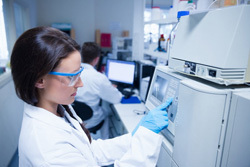 Maggie also offers hair mineral analysis testing to test for the presence of heavy metals in the body and brain that can affect mood and health. 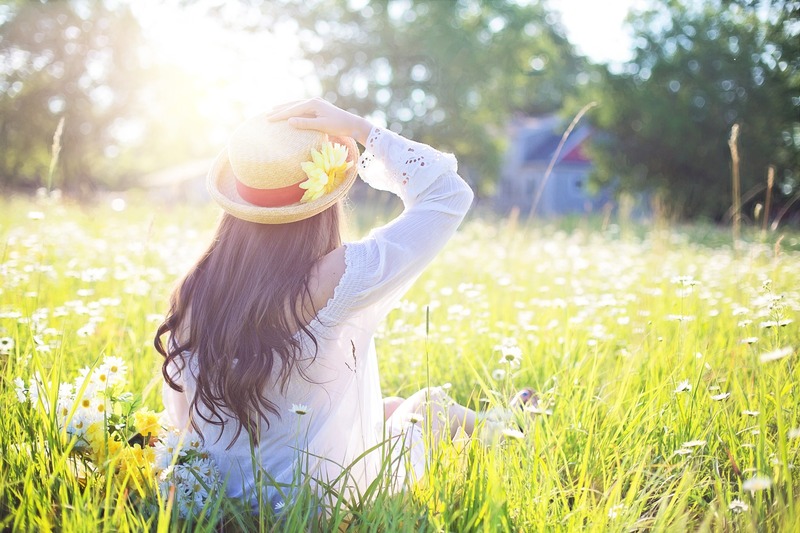 Hair analysis also helps with pinpointing nutritional deficiencies and imbalances that also affect mood and vitality. Celery Juice Can Save Your Life!!!! Those that know me, know that I love, love, love, celery juice and that I tell everybody about it. Yesterday, I ran across this short video with some awesome testimonials from some people who have had tremendous benefits from drinking straight celery juice. Many of them completely off of all of their medications! Maggie Holbik.com is a Board Certified Nutritionist and Life Coach who loves empowering people to make simple lifestyle changes that create BIG results. Top Health Trend for 2019 Might Surprise You! But today I want to talk about another trend that I think is awesome! The trend is that people are going to realize that a healthier lifestyle means more than what they eat, how intense their workouts are, etc. More and more people are coming to realize that the little things we do on a daily basis have a huge impact on our health and peace of mind. These are usually parts of our lives that we take for granted, like spending time with those we love, taking down time, taking a break from technology, reading a book, cooking a meal,playing a board game together, going for a walk, and basically getting back to living and en-JOYing life! I really love this trend and am inspired to add in more of this life en-JOYment for myself and I hope you too find that 2019 brings you more of the things that make you smile and that connect your with those you love! Maggie Holbik.com is a Certified Life Coach and Nutritionist who is excited about 2019 and beyond. There is so much JOY to be had from the simple things in life, that they do in fact become the big things! I wanted to share this feedback I got from my friend Helen. Helen recently had a hair mineral analysis test done through me and the accredited lab that I use for this. I am compelled to write you this note of gratitude for suggesting and walking me through the hair analysis. It has helped me tremendously in weeding through what I need to do moving forward, to assist my health. As we all know there are so many companies out there promising health, but what do I really need? I have seen through hair analysis that I need specific minerals, and my liver needs help. I am starting my journey in the right direction. Thank you so much again. For those that don’t know Helen Liba, Helen is a Certified Raw Foods Chef and a wealth of knowledge when it comes to healing foods and nutrition, so I did not take this review lightly. 🙂 I was very honoured that I could help Helen take her health to the next level by uncovering some clues to help enhance her daily protocols for better health and wellness. Hair Mineral Analysis is a screening test to measure the levels of up to 60 essential minerals and toxic metals. With correct testing and interpretation, one can construct a complete metabolic profile of the human body. I can be reached directly by phone or text at 807-627-1831 or email MaggieHolbik@gmail.com Feel free to ask any questions that may come up around hair analysis, heavy metals, or whatever comes up for you as a good question. I am all ears. MaggieHolbik.com is a Board Certified Nutritionist and a Certified Life Coach who uses hair mineral analysis as one of the tools to ascertain individual nutritional deficiencies and the presence of heavy metals in the body and brain. Heavy metals, pesticides, herbicides, toxins, petroleum products and plastics are all disruptors to the human body and mind. By understanding your toxic load, you are better able to address many health issues. Glorious and Grand – Ginger! Ginger has been purported to exert a variety of powerful therapeutic and preventive effects and has been used for thousands of years for the treatment of hundreds of ailments from colds to cancer. It is known to greatly aid in digestion and assimilation and is widely regarded to help prevent colds, flu, motion sickness, and vertigo. Ginger can also help to alleviate menstrual cramps, nausea, heartburn, migraines, sore throats, exhaustion, fatigue, and constipation and it is great in providing relief from the stomach flu and food poisoning according to Anthony Williams, The Medical Medium. Anthony also states that ginger also contains potent anti-inflammatory compounds called gingerols and is a powerful painkiller which makes it especially beneficial for those who suffer with joint, muscle, and nerve pain. Ginger has incredible immune-boosting and germ fighting abilities and has even been shown to help provide protection and relief from E.coli, Staph infections, and Candida albicans. In ancient times, ginger was highly regarded as a spiritual cleanser and used before and during holy days as a way to awaken and purify the body, mind, and spirit. 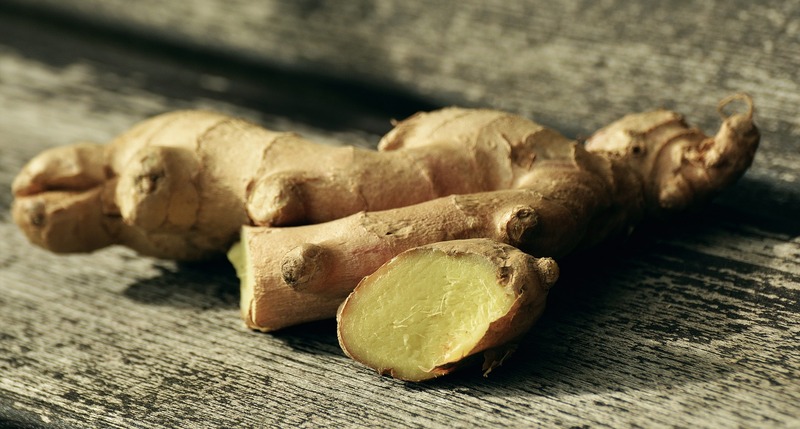 Fresh ginger is one of the most potent ways to receive its health benefits. Try making a liter of ginger water or tea everyday by adding freshly grated ginger in water and let steep for 10-20 minutes. Adding some raw honey and fresh squeezed lemon juice will enhance its flavor and add to its protective and healing properties. Fresh ginger is also excellent juiced with apples and celery for an energizing and immune boosting drink. Using fresh ginger in any of your cooking or preparing of food will also provide healing benefits and should be added whenever possible. 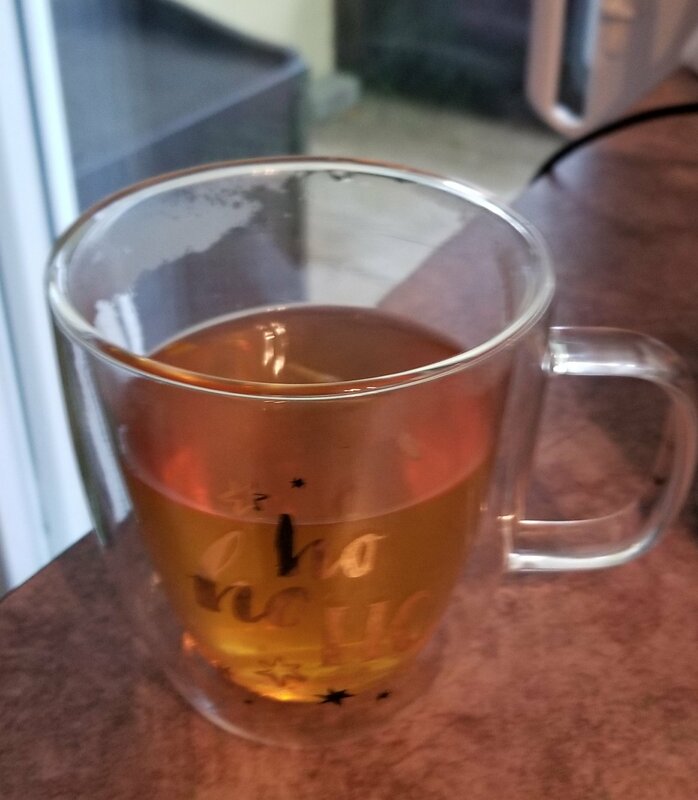 If you find fresh ginger too strong for your liking, then try using ginger in powder, capsule, tea, or tincture form that can be found online or in your local health food store. I personally am looking for more ways to add this feisty plant, from a plant family that includes cardamom and turmeric, into my daily diet. 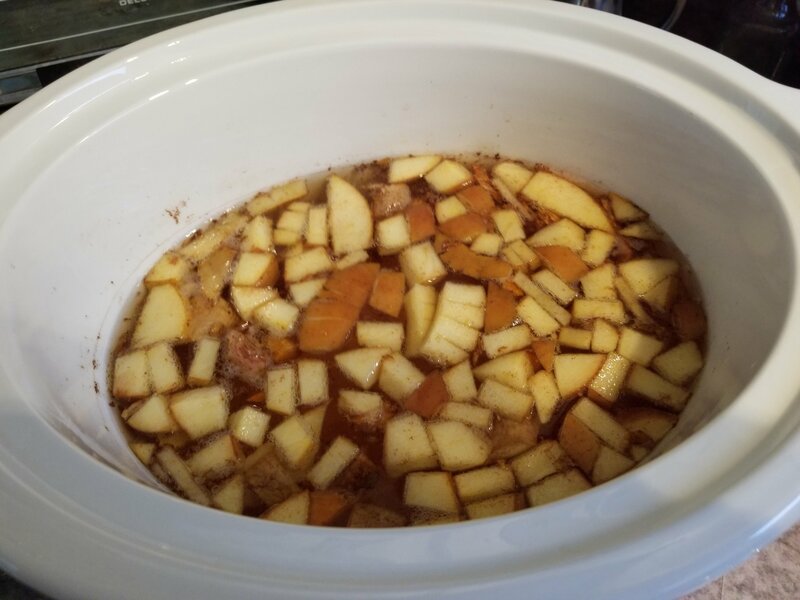 Today, for example, I threw in some chopped fresh ginger root, fresh chopped turmeric, chopped apples, cinnamon, maple syrup and honey into a slow cooker with water. It’s gently brewing right now and I can’t wait to try it. I will strain it and drink it like a warm and soothing tea with benefits. 🙂 So many good ingredients in there! My body and soul are going to love it! I just tried it and it’s the best hot drink I’ve ever had! Be sure to sign up for my email list to get the recipe when I send it out! Maggie Holbik.com is a Board Certified Nutritionist and Certified Life Coach learning as she goes and experimenting with adding in more nutrients into her diet that are healing, nutritious and soothing to the body and soul. As Brene Brown’s quote states ‘you get to write the ending’. As a Life Coach and Nutritionist, I hear often people telling a story about their health that would be better left untold, if truth be told. 🙂 It is easy when in pain or suffering, to lose hope and to tell a story that stems from the pain and hopelessness.
. In the past I was very sick, but now I am getting better and stronger everyday!
. I love my body and am showing my body through supporting it to support me! These are just a few ideas to add to you daily ‘story’. I would love to hear the ones that you come up with. MaggieHolbik.com is a Certified Life Coach and Board Certified Nutritionist who focuses on helping people to have more JOY in their lives. She also works with the physical body and brain to assist in determining toxic heavy metal loads and safe removal as well as liver health which can be an underlying culprit in many health areas such as weight gain, blood pressure issues, digestive health, brain fog, and more. I am forever thankful to Anthony Williams, The Medical Medium for his spreading the word about the power of celery juice. I will share a link to all the info you ever need to know about it at the end of this blog post. If we can make small changes and if we are consistent we can make huge strides in our health. This is so encouraging and is why I write this blog post! I am hearing of people everyday who are healing their conditions like MS, Anxiety, Depression, PCOS, Lymes Disease, Diabetes, Thyroid Disease, and the list goes on. How are they doing it? By feeding their bodies the foods they need to heal, by eliminating toxins and toxic overload, by not feeding the body the foods that feed pathogens and viruses and most of all by committing to themselves that they are worth it. Here is the link to the blog post all about celery juice. 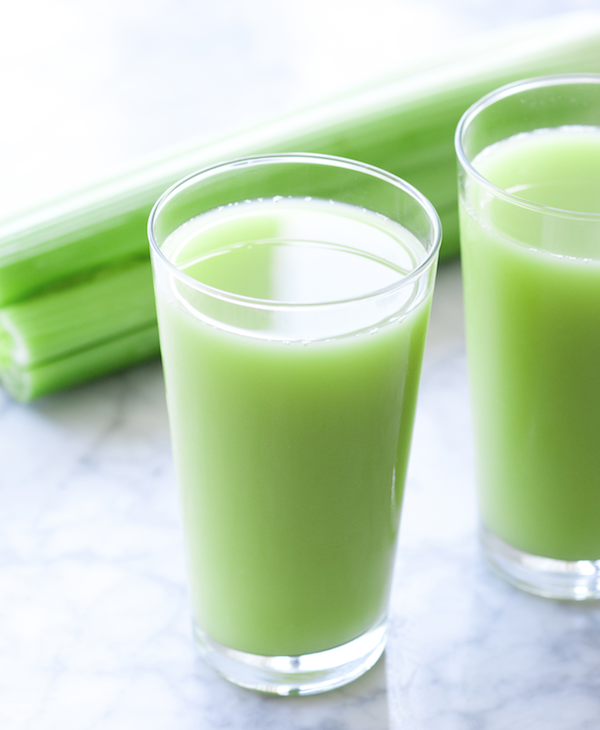 Celery Juice is The Bomb!